It was only a matter of time before one of the stylish bloggers I know expanded her talents beyond words and cool finds to beautiful designs. 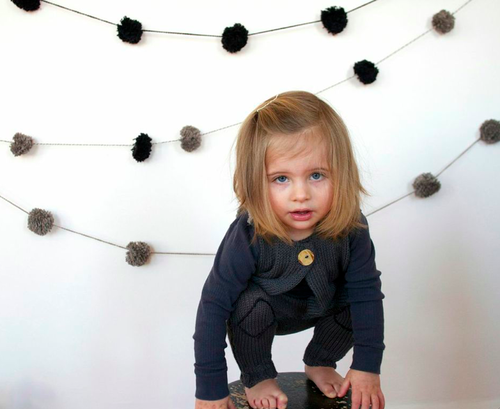 Our own Brooklyn-based children’s style blogger Amanda de Beaufort of Coos & Ahhs has teamed up with Toto Knits to launch a capsule collection of organic cotton knitwear for children. 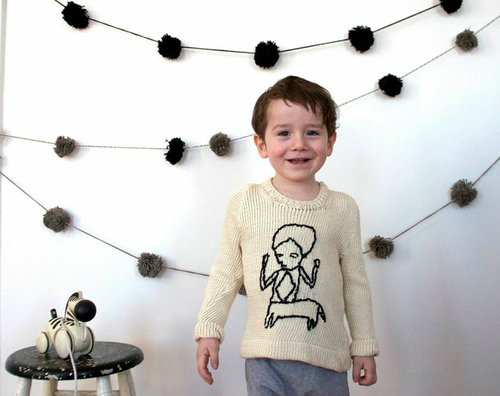 The collection, Coos & Knits, is inspired by the playful spirit of childhood and is based on the whimsical drawings by Colombian artist Manuel Kamanovitz that adorn CoosandAhhs.com. Drawing from her years of covering the children’s wear industry and her role as a mother of two young children, the pieces are chic yet wearable. I love that they are so unique yet are attainable by being available on Toto Knits. The collection palette consist of muted pink, electric blue, soft grey and high contrast black-and-cream pieces for children ages zero to six, staying true to Amanda’s vision of unisex, functional and fun pieces for active children.